November 9th, 2018, the officers and directors elected at the October RARC meeting were installed at the annual banquet. 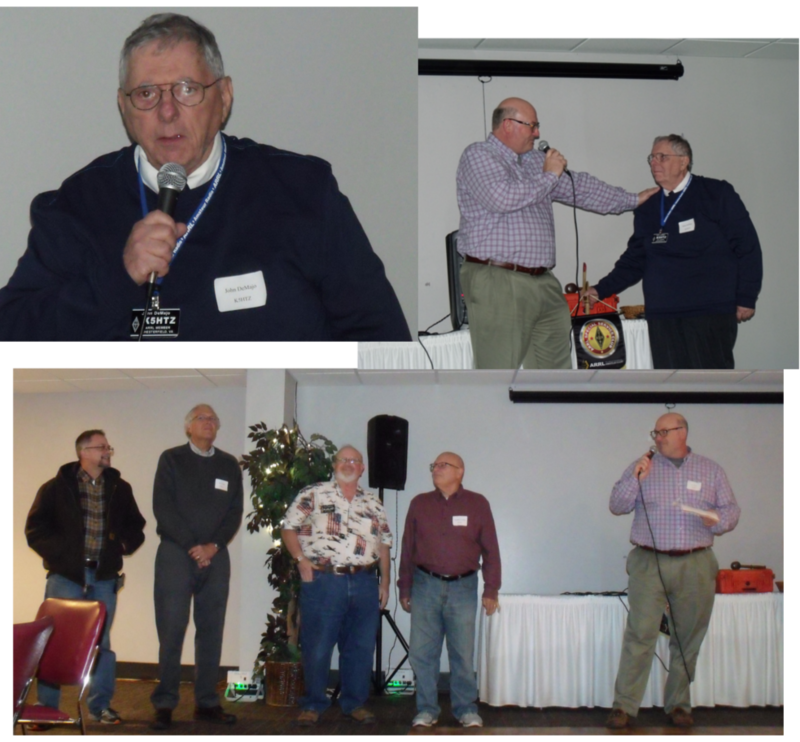 New president John DeMajo, K5HTZ, on the upper left spoke to the members after installation. On the right outgoing president Jim Bates, K8OI, greets the new president. At the bottom, the new and the outgoing officers and directors present are introduced by Jim. Left to right they are George Golding, W3PPY, Win Grant, W4WIN, David Robinson, KJ4LHP, and Ken Leidner, WV0L.